The system is available in various forms which covers a wide variety of applications for patterns, speed and type of format. Picking up and depositing boxes from the bottom produces safer and seamless handling without affecting box closing quality. 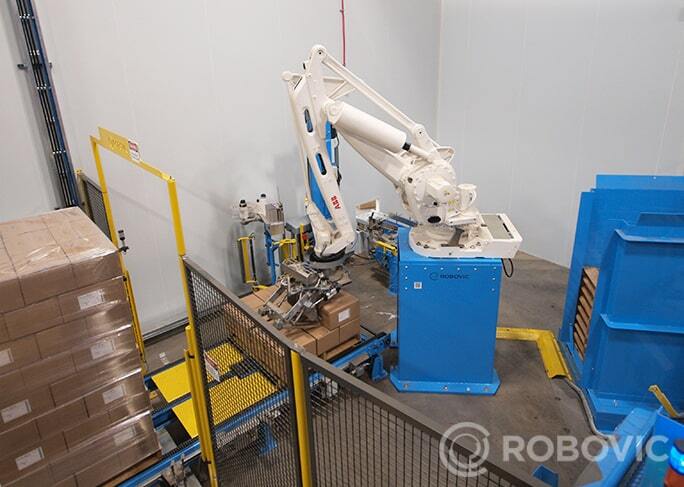 The palletizer is equipped according to the gripper requirements; capable of handling one or more boxes. 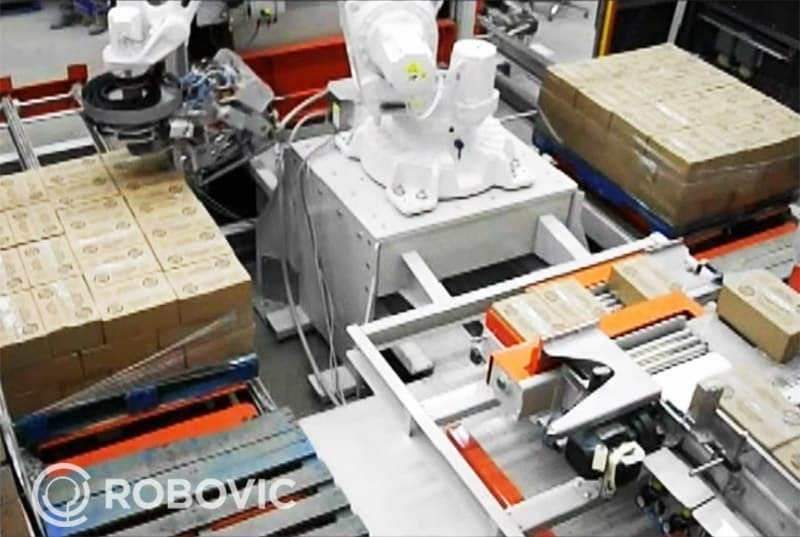 The box palletizer production capacity can reach up to 60 boxes per minute and speed can be increased by adding a second robot to the cell. 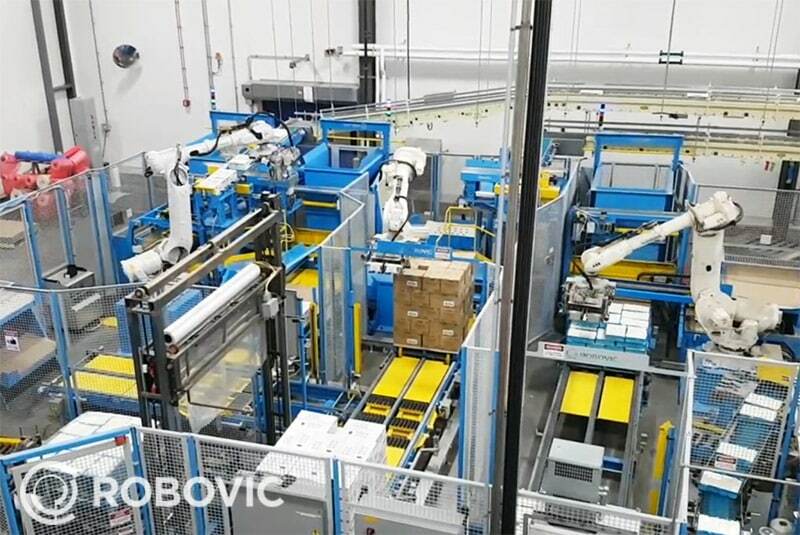 In order to obtain a complete solution, additional options can be integrated to the end of the production line preparing your pallet for storing or shipping. reducing unnecessary handling or maneuvering of pallets. Wide variety of configurations and options possible. Speed : 60 boxes per minute. Integrated wrapping (top or slip sheet).